Often touted as the "Center of the Hockey Universe", Toronto holds a special place to those of us that follow this beloved sport. The NHL has one of its three headquarters in the city, with this branch notably serving as home to the Central Scouting Bureau and the "Situation Room", where in-game video replays are scrutinized. 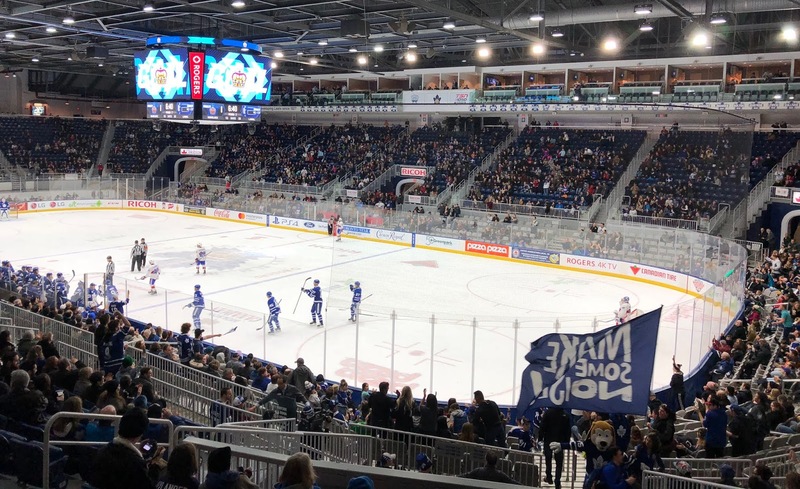 Many current and former players hail from the province of Ontario, often developing their skills in minor midget organizations as well as the junior teams that make up the Ontario Hockey League. Last but certainly not least, the Hockey Hall of Fame is located in downtown Toronto, adding to the mystique of the fabled city. Owing to its history, I had always planned on Toronto being the final city on my "quest", but I bumped it up the list when I saw that the final week of March 2018 presented several sporting opportunities in the area that I couldn't pass up. Both the home opener of the MLB's Toronto Blue Jays and the first round of the OHL Playoffs would occur during this period, which also coincided with Good Friday to allow me one extra vacation day from work. I even added an extra day to the beginning of the trip to visit Niagara Falls: my fiancee Charlene had always wanted to visit, and was quite jealous when I told her about my Buffalo trip. I would spend most of the spring keeping track of the OHL standings and drafted a spreadsheet to monitor the potential playoff matchups amongst no less than a dozen different junior teams. Once the schedule was finalized, it was just a matter of prioritizing the teams and arenas that were highly-recommended, and coming up with sightseeing suggestions to take place during each day. We flew directly to Buffalo on a Thursday, in order to relax and prepare for the massive odyssey that would feature eight hockey games in eight days! It was a frigid morning (what else from Buffalo?) as we headed to Niagara Falls State Park, arriving just before Noon. We wanted to give ourselves as much time as possible to see everything, so we walked slowly around the area, crossing over to the Canadian side and back. Charlene was just as amazed as I had hoped, which made the day that much more enjoyable. We stopped in various shops to stay out of the cold, then ventured back to Buffalo as the sun was setting - typical tourists for the day, going home early to rest up for the longest day of the trip. It was even colder than the day before - especially since we were up and about before sunrise - and it was time to cross the border. I discovered it was MUCH cheaper to simply take the Megabus from Buffalo, which brought us to downtown Toronto within walking distance of a rental car outlet, conveniently located next to the Hockey Hall of Fame. I used the opportunity to buy a few things in the gift shop, while grabbing a quick lunch before driving to our Airbnb in the neighborhood known as "The Beaches". We took a quick power nap before setting off to our first OHL game in the small town of Owen Sound, more than two hours away. I didn't want to miss any of the action, although I certainly didn't want to be too tired for the lengthy drive home, so I convinced Charlene that we should stay - but for one overtime period only. Thankfully, the home team sent everyone home happy less than five minutes into the extra frame, with Brett McKenzie notching the game-winner. We quickly fled to the parking lot and drove out into the dark and freezing night, arriving in Toronto after 1am. 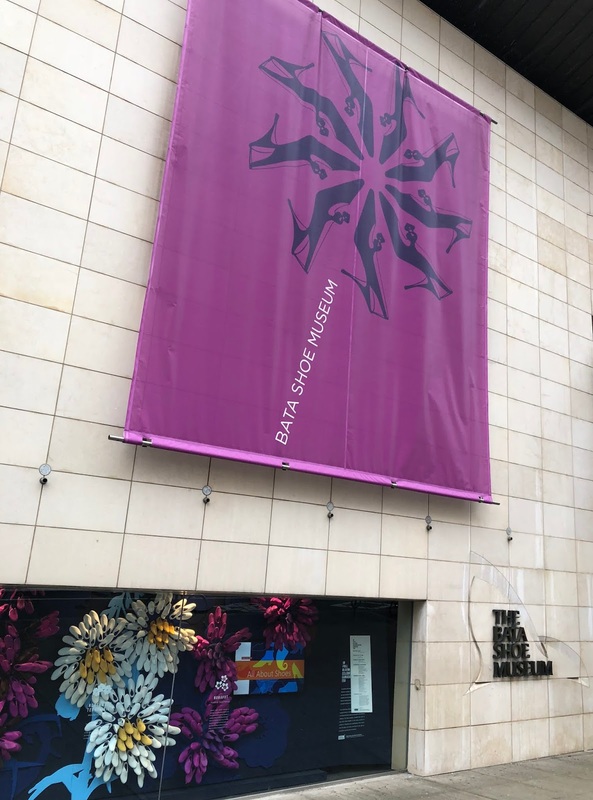 No tourist should ever come to Toronto without picking up a CityPASS, which provided us entry into five separate attractions for a discounted price. With an entire week in the city, we got our first chance to use the pass at Casa Loma, a gorgeous mansion that resembles an ancient castle. The filming location for many movies and TV shows, this meticulously restored chateau was the perfect place to waste an afternoon, as we roamed the halls and got some great views of the city. From there, we walked across the street to the Spadina Museum, another beautiful mansion that offers a glimpse into a bygone era. After wrapping up our tour, we headed to Kitchener for the second OHL game of the trip, briefly stopping for a quick dinner at a popular sports bar and restaurant known as Moose Winooski's, which was packed with fans of the Kitchener Rangers. 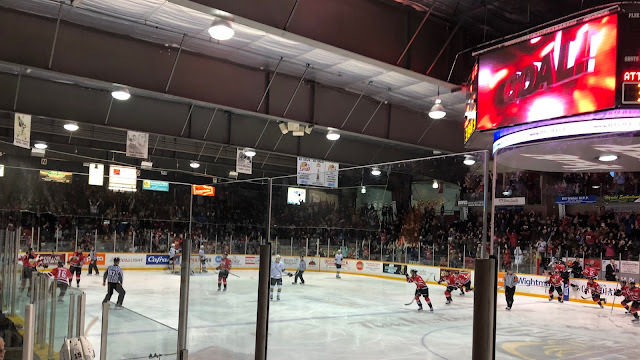 The visiting Guelph Storm were squaring off against the Rangers, and we arrived at the venerable Kitchener Memorial Auditorium about halfway through the first period. In a way, the game was secondary - I'd heard many stories of "The Aud" and preferred to spend most of my time observing the architecture of the nearly 70-year-old building as we traversed the concourse for most of the second period. 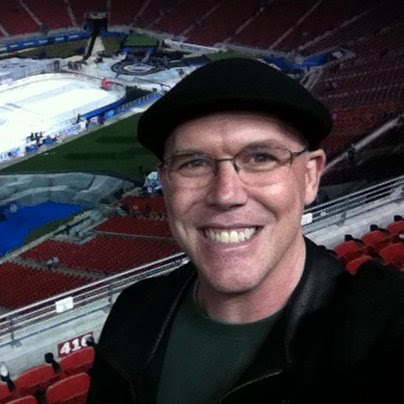 We learned the history of the team, which has seen hundreds of its former players make the NHL: from Hall of Famers like Scott Stevens and Paul Coffey to current stars such as Gabriel Landeskog and Jeff Skinner. A raucous crowd greeted us as we returned to our seats, with the Rangers and Storm keeping the excitement level up throughout the evening - Kitchener forward Kole Sherwood would go on to score with less than eight minutes to go, helping to propel his team to a 2-1 victory. Our third day in Ontario saw us make the lengthy drive to London to once again see the Knights face off against Owen Sound. 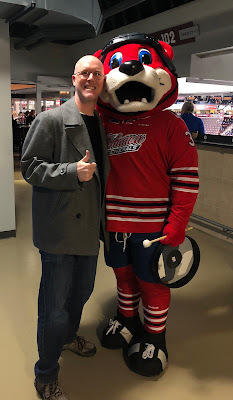 I was fortunate enough to have met sportscaster Jeff Marek during the 2015 Memorial Cup, and when I messaged him and asked which OHL arena I had to visit while in Ontario, he responded by saying "you have to go to London, probably the best rink in the entire CHL", adding "that rink is as close to an NHL experience as you get in junior". High praise indeed, which made Budweiser Gardens my top priority during the planning stages. Luckily, we arrived so early in the afternoon that we were able to park directly in front of the arena and leave our car for the rest of the day. Since the team store was already open, I was able to get some merchandise which I left it in the car before we began walking around the town for a few hours. The first stop was a pleasant stroll through Victoria Park, which was fairly quiet with most of the town's residents at work or school. Our pregame meal would come from the Covent Garden Market, located directly across the street from Budweiser Gardens and home to several delicious eateries. Late in the first period, George was approached by a member of event staff who asked if he would like to participate in a contest featured on the video scoreboard. He immediately declined and directed the staff member to the tourists from Los Angeles, and we were selected as the "Couple of the Game". The contest involved us attempting to "catch" strawberries as they floated down the screen - it was incredibly fun, and included a box of gigantic chocolate-covered strawberries as our prize! The rest of the game may have seemed anticlimactic by comparison, but it wound up being another exciting one-goal contest, our third in as many days. Though Owen Sound jumped out to a 3-1 lead, the Knights would claw back and tie things up with five minutes to go on a goal by future Edmonton Oilers draft pick Evan Bouchard. Overtime would ensue...lasting a mere 33 seconds before Alan Lyszczarczyk scored for the Attack, staking them to a 3-0 series lead. We gathered our strawberries and promptly departed in order to get to our car and beat the traffic surrounding the arena. A steady rain greeted us on this day, which made for a somewhat miserable day to go sightseeing. We started with a visit to the legendary Maple Leaf Gardens - now known as the Mattamy Athletic Centre - which houses several shops including a large Loblaws grocery store. The distinct roof can also be seen above a newer ice rink that serves as the home to Ryerson University's hockey team. Words can't describe how awesome it was to walk around the fabled building, as there were a multitude of plaques and pictures on display to detail many of the famous visitors and events that took place on the site. It's a living, breathing monument to hockey history that all fans should step inside. 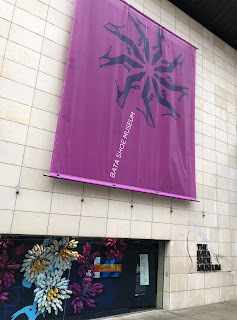 We then moved across town to experience two curious museums: I've always been fascinated by footwear, so I took particular interest in the Bata Shoe Museum, which featured a unique exhibit called "Fashion Victims" that depicted the "dangers of wearing articles of fashion dyed with poison-laced colours and made of highly flammable materials". Our CityPASS included a ticket to the neighboring Royal Ontario Museum, home to an impressive collection of artifacts. We took part in a walking tour and meandered through the galleries before heading out into the dreary afternoon. Tonight's OHL game would be in nearby Oshawa, though our rain-soaked trek during rush-hour traffic definitely made it seem quite far away. 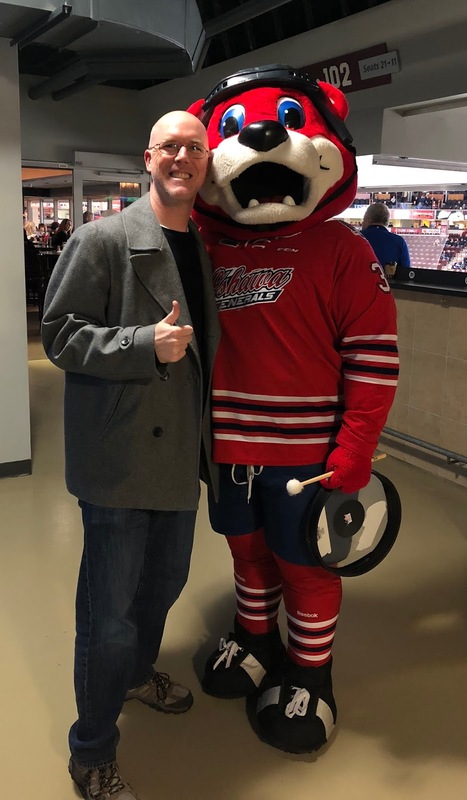 A fantastic dinner at Thai Culture cured our hunger, as we dodged the raindrops and scurried into the adjacent arena just before puck drop - the Niagara IceDogs were in town to face the Oshawa Generals. I was no stranger to watching the Generals up close, as I saw them play twice in Quebec City on their way to winning the Memorial Cup in 2015, where I befriended a die-hard Oshawa fan (and season ticket holder) named Carroll - we'd kept in touch via Twitter in the years since, and it was great to see her again and introduce her to Charlene. Thankfully, we got to witness a resounding Generals victory! Our driving was kept to a minimum for a change, as we spent the entire day in Toronto - specifically the area around Exhibition Place near Lake Ontario. We began at the Fort York National Historic Site, which offered a fascinating look into the region's military history dating back to the War of 1812. It was fun to walk around the various buildings and try to imagine how it would have felt to have been stationed here as a soldier so many years ago. We had some time to kill, so we took a quick nap in the car before walking through Exhibition Place to Liberty Village, a trendy neighborhood filled with condominiums and boutique shops. Charlene loves Italian food, so we grabbed dinner at Pizzaville then headed back to Ricoh Coliseum, home of the AHL's Toronto Marlies. The historic venue - now known as the Coca-Cola Coliseum - opened in 1921 and has hosted countless fairs and sporting events. From the moment I began planning this trip, I knew that I had to work around the AHL schedule so that I'd be able to take in a Marlies game and see this palace up close. It was an absolute treat to peruse the confines and soak in the history, all while seeing the Marlies throttle the visiting Laval Rocket. It's hard to believe we'd packed so much into such a short time period, and yet there was still plenty left to come.